experience and is certified in clear braces. Dr. Faine has more than 40 years of experience and is certified in clear braces. Over the course of his prestigious career he has accumulated the operational and clinical training necessary to treat a wide range of patients with ClearCorrect braces. 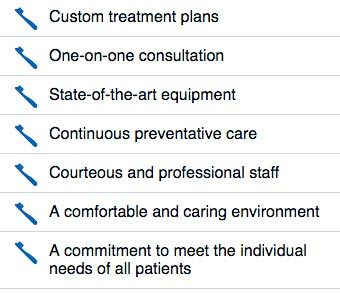 These options are discreet and highly effective. If you’re a good candidate for clear aligners, we will take photos and x-rays, use a scanner or impressions to capture the shape of your teeth, and submit your prescription to ClearCorrect to customize your plan. 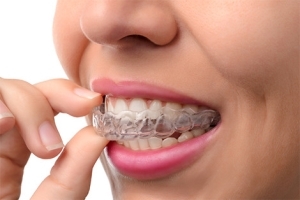 ClearCorrect is a set of customized clear trays that you wear over your existing teeth.They fit snug over your teeth and are transparent, so people will not even know you’re wearing them. Your treatment will be customized for you and the series of tray aligners will apply enough pressure to your teeth to gently force them into a better position based on the initial goals we set. You’ll need to wear the aligners for at least 22 hours per day, progressing through each step until your treatment is complete. We will check your progress periodically and give you new sets of aligners. For best results and to achieve your goals, you you will need to follow the instructions, we will review all you need to know during the consultation! Our office has committed itself to providing you with a comforting and caring environment. We will work with you every step of the way throughout your clear braces journey to a new and vibrant smile. As your teeth begin to move, we make sure they are healthy with our continuous preventative care. To learn more about convenience of clear braces, call us today at (305) 661-9556.